ATTENTION has been paid, and rightly so, to the NYC subway system on its 100th anniversary in 2004, but there’s an even older transit system in New York existing alongside the subways,whose stations are neglected somewhat by the agency that’s in charge of running it. 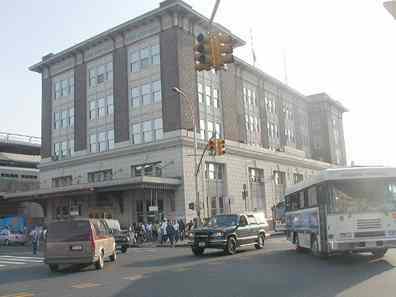 Truth be told, the 171-year-old (in 2005) Long Island Rail Road, at times, treats its NYC station operations like a 3rd thumb. 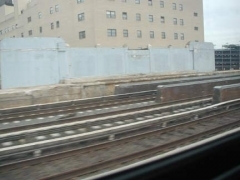 Over the years, dozens of stations in Brooklyn and Queens have been closed, and entire branches (Manhattan Beach; Bushwick; Evergreen; Bay Ridge; and even a run to Manhattan’s Lower East Side via the Williamsburg Bridge) have been scuttled. 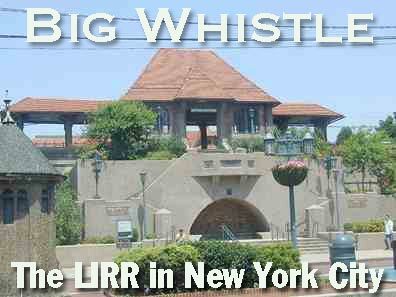 On this page, we’ll give the LIRR’s NYC operations a little love, even if the LIRR would rather we not. 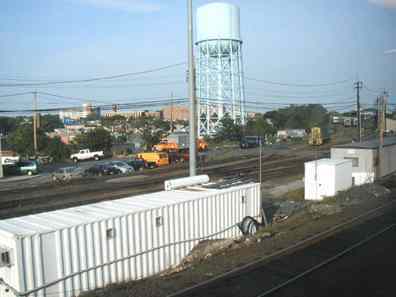 Both the Hunterspoint Avenue LIRR station and the Hunters Point Avenue IRT #7 station (that’s how each is spelled respectively) are on 49th Avenue, which used to be called Hunters Point Avenue and still is, east of Dutch Kills. 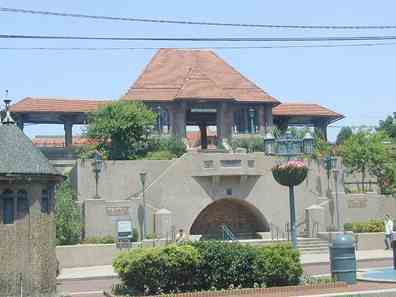 The station viewed from 49th Avenue. 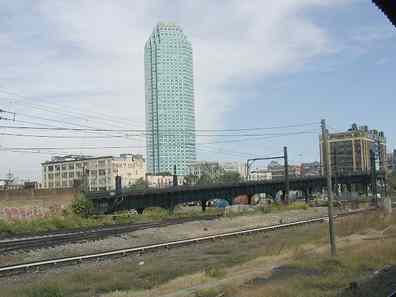 The Long Island City Citicorp Building (soon to be sold by the bank) and the trestle of the IRT Flushing Line can be seen in the background. 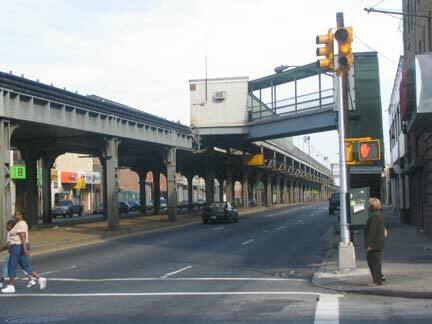 Hunterspoint Avenue (as the LIRR signs it; Hunters Point Avenue is actually 49th Avenue here) retains its old wood-plank platform edges and wood canopy supports. The canopy itself is green plastic. 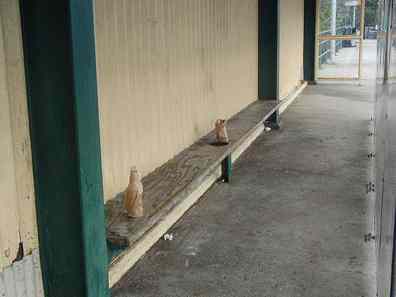 Hunters Point station is open only weekday mornings and afternoons; it has no ticket window and departures and arrivals are posted above the station staircase on 49th Avenue. 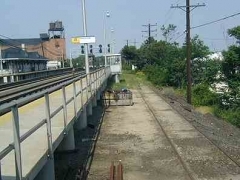 On very rare occasions, when the #7 Flushing Line is knocked out for whatever reason, the LIRR Port Washington Branch has been pressed into service as a replacement. 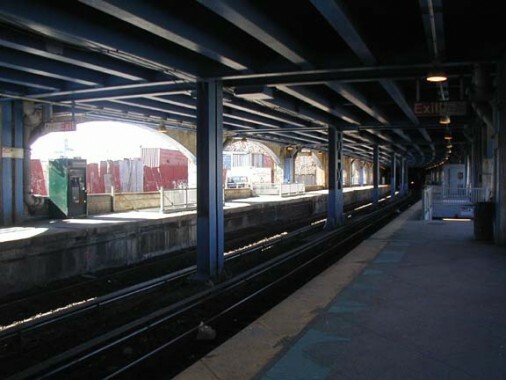 Trains were routed from Flushing-Main Street to Hunters Point where passengers would debark and walk a short distance on 21st Street to service at the Hunters Point subway station. 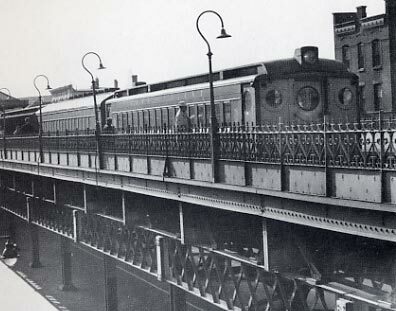 Prior to 1910, when Penn Station was opened, Long Island City was as far west as the railroad got in Queens: passengers would debark at that point and board a ferry ‘cross the East River to the east end of 34th Street in Manhattan, whence they would board coaches, horsecars, and later on, electrified trolleys, to reach their New York City destinations. 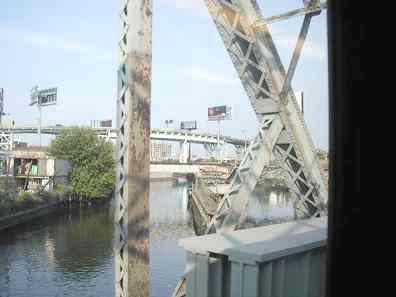 The LIRR still maintains a station in Long Island City, but only a few passenger trains use it now, and the ferry went out of business in 1925; it has been revived since, but has never attained the prominence it used to have. At Miller’s Hotel (now the Waterfront Crabhouse) the story goes that a bell would ring when the ferry was about to leave; a mad scramble would ensue, and then a couple more mad scrambles when it was discovered that the bell had been rung prematurely and there was still time to return to the bar for another drink! 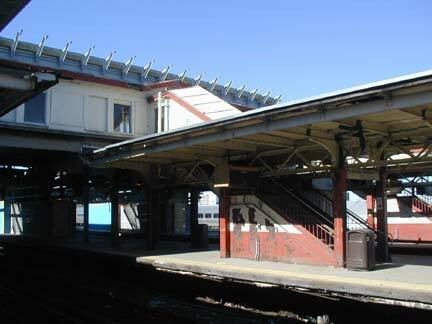 New high-level platforms were built here in the late 1990s when the LIRR acquired new diesel-powered units that could also take third rail power. A couple of daily LIRR runs still use the old Montauk Branch tracks, even though the Penny Bridge, Haberman, Fresh Pond, Glendale and Richmond Hill stops, most of which were slight clearings along the tracks, were eliminated in 1998. 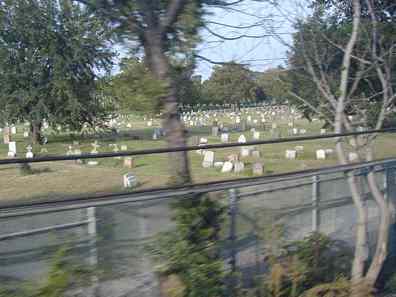 The LIRR on the Montauk Branch crosses Dutch Kills…runs past Lutheran/All Faiths Cemetery…. 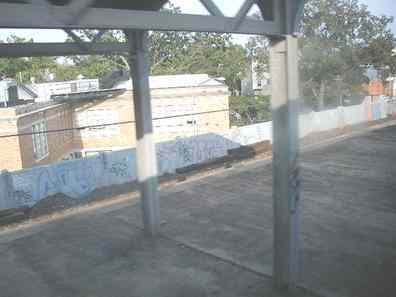 …and nears Jamaica in the Morris Park yards. 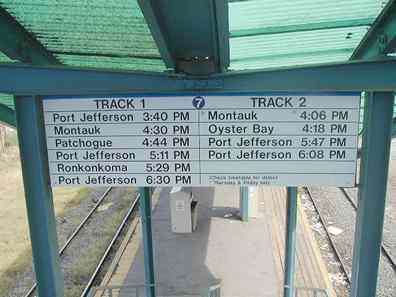 By 2012, passenger service using the Montauk tracks had been limited to just one run in the morning; the two afternoon runs had been eliminated. 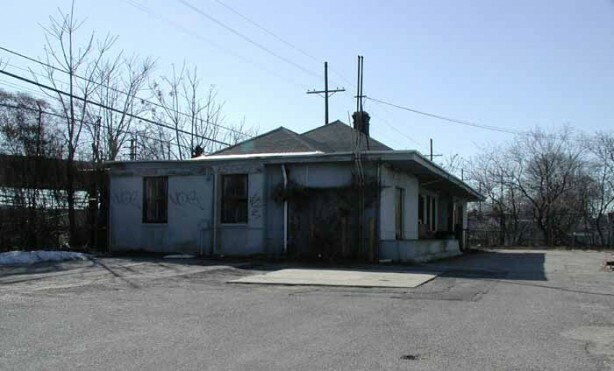 For details on the abandoned stations, see this FNY page. 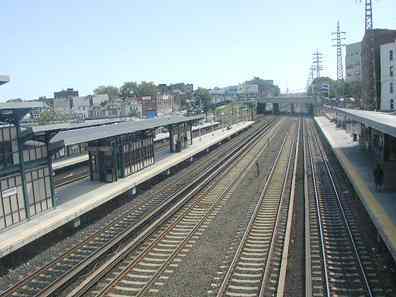 Flatbush Avenue is one of three extant Long Island Rail Road stations in Brooklyn. All three have been virtually abandoned by the LIRR with insanely deferred maintenance, but at long last, Flatbush Avenue is being refurbished and a long-awaited new terminal has been constructed. Already the platforms are undergoing renovation, which unfortunately has eliminated the last porcelain tile and brass railings left over from the former Flatbush terminal. 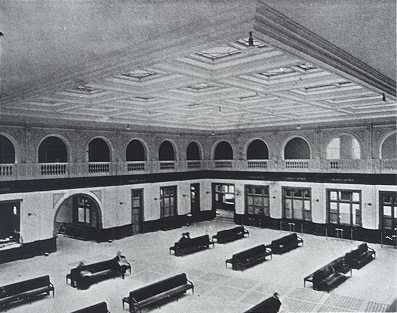 1930s exterior and interior views of the Flatbush Avenue terminal. 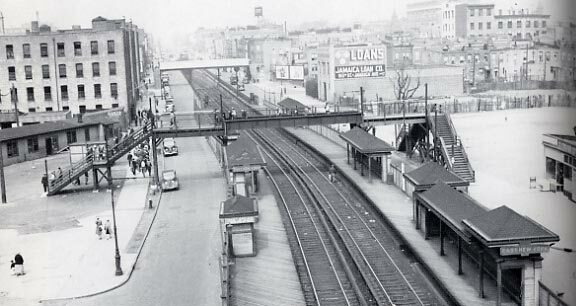 Continuous LIRR service to Flatbush Avenue has been in place since 1877, when steam railroad operations were resumed along Atlantic Avenue after a 16-year hiatus. 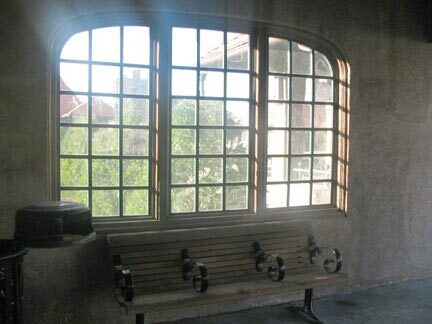 This brick station was opened April 1, 1907 and was demolished in 1988, though a tiny piece remained till the mid-1990s at Hanson Place. 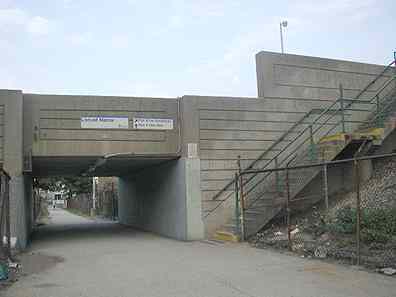 Since then, entrance to the LIRR station has been through a subway-style underground passage, but a new ticket window was opened in 2004 along with a new Target store on Flatbush and Atlantic, the site of the old Bickford’s Cafeteria and Club Car Bar that had occupied the site in the 60s before being replaced by empty lots for decades. 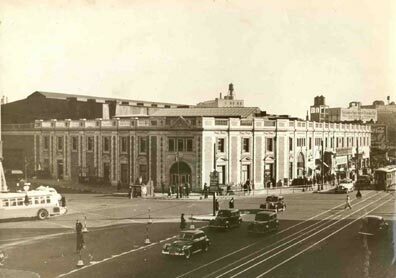 For a look at the LIRR Flatbush terminal from 1907 through the 1970s, see Art Huneke’s LIRR Archives. …but despite its present-day nondescript appearance, the LIRR Nostrand Avenue station is among the system’s more intriguing. 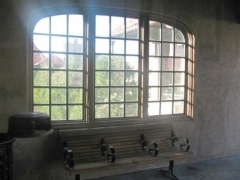 It resembles a typical subway el station, quite unlike the rest of the stations in the system. At left we are looking east; at right we are looking west as the tracks are submerged into the tunnel that takes trains under Atlantic to Flatbush Avenue. 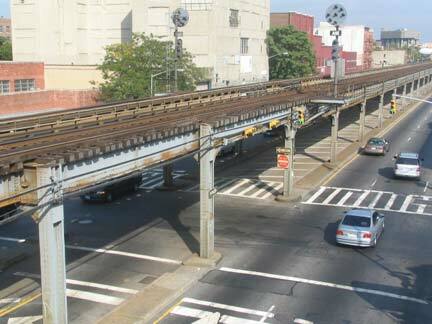 The platform allows views east and west of the elevated trestle along Atlantic Avenue. 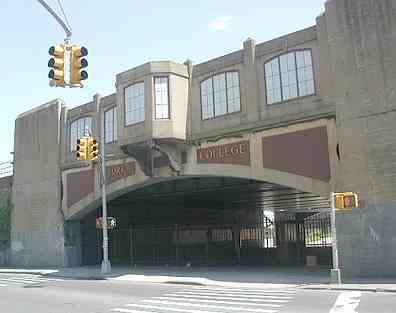 Passenger entrance at Atlantic and Nostrand Avenues. 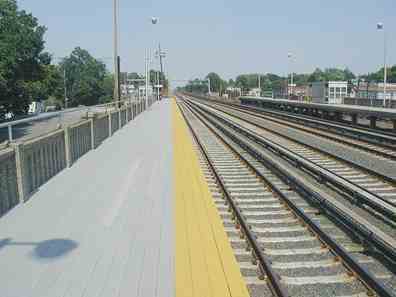 The platform permits a good view of one of the LIRR’s position-light signals. As a rule in position-light signaling, colored lights are illuminated in rows of three. 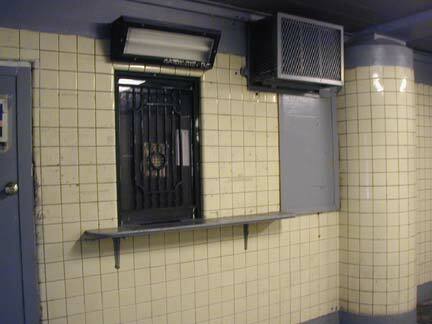 Bottom: ticket window where the agent is well-protected. Nostrand Avenue affords views of auto body shops and meat wholesalers. 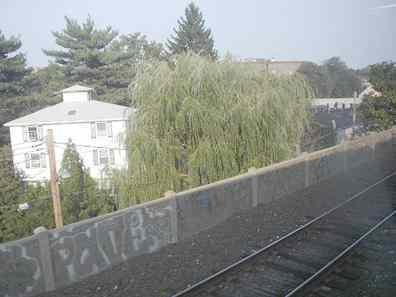 We’re a long way from the leafy suburban enclaves where the LIRR usually travels. 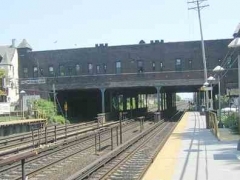 The present condition of the East New York station serves to illustrate the opinion the MTA must have of Long Island Rail Road customers who use this station, one of the system’s most hidden and obscure outposts. At one time a busy transfer point for Brooklyn and Rockaway Beach Railroad trains to Canarsie (that line evolved into the BMT Canarsie L line) and LIRR trains to Bay Ridge, the East New York station was formerly at grade and while it still remains at street level, the crossings were eliminated after 1940 when Atlantic Avenue was placed on a flyover. 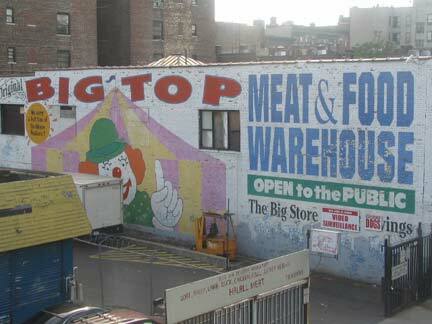 ENY has dwelled in the shadows ever since. 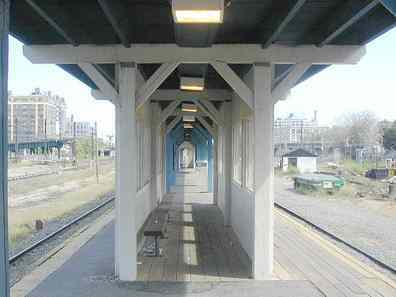 Views from the platform, which is at street level. 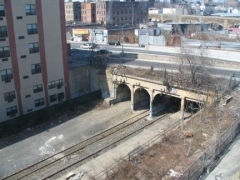 Since the early 1940s the LIRR has run in a tunnel under Atlantic Avenue between Howard Avenue and Jamaica with only a brief glimpse of daylight here. 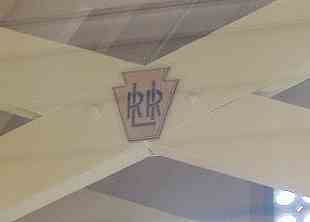 A vandal has removed the “East” from the station sign. The “mezzanine” of East New York, under Atlantic Avenue, unusually employs IND-type lettering in station signage; no other LIRR station does. 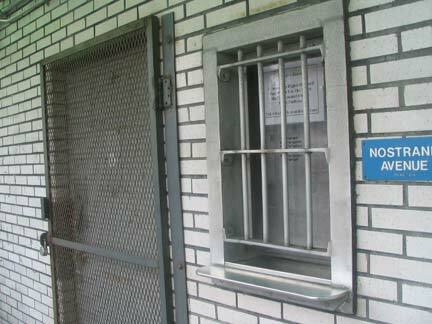 The ticket window is well-protected, like the one at Nostrand Avenue. 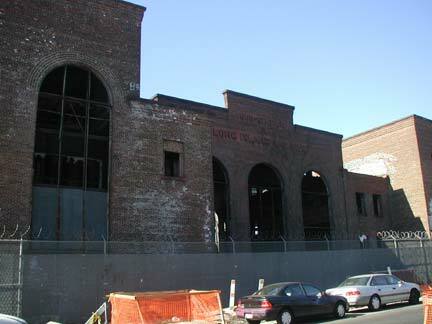 The ruins of LIRR Substation 2 can be found on Snediker Avenue just south of Atlantic. Substation 1 is in better condition, on Atlantic Avenue near Grand Avenue. 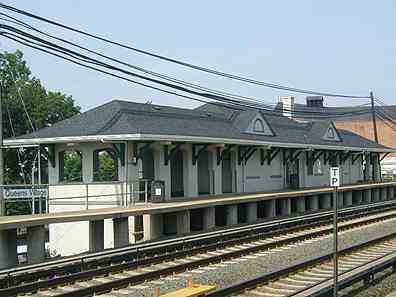 The remnants of another Long Island Rail Road East New York station, this one on the LIRR Bay Ridge branch, now used by New York and Atlantic RR for freight. 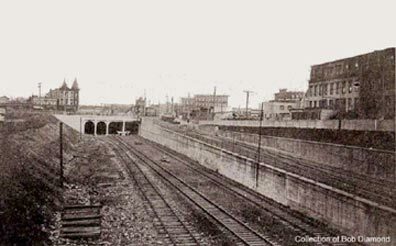 The tracks were placed in this open cut and runnel in 1914. 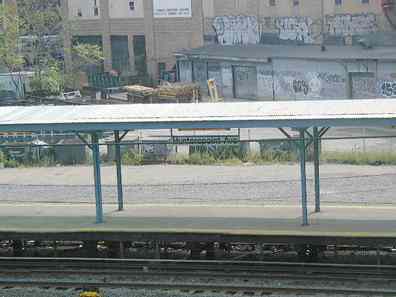 The old platform can be seen just in front of the tracks. 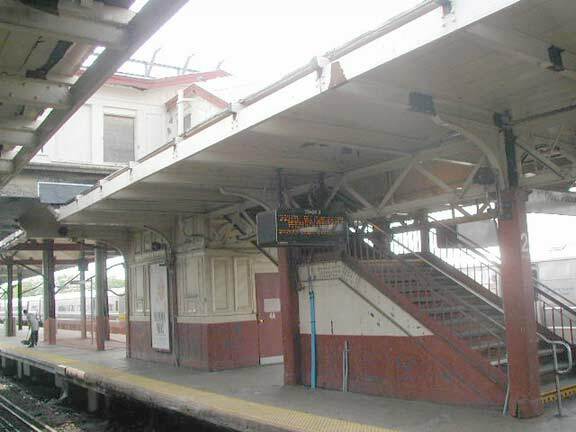 The LIRR Bay Ridge Branch’s long-forgotten passenger service included stations at Rugby (Ford’s Corners) and Kouwenhoven in Flatlands, Vanderveer Park in Flatbush, Manhattan Beach and Parkville Junctions, Bath Beach and Bay Ridge. 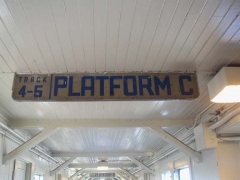 Passenger service ended in 1924 and the platforms here are the only remnants of the service. Woodside is the most important transfer point in the LIRR outside of Jamaica or Penn Station; this is the only station outside of Penn where the Port Washington branch meets the other LIRR lines, though no scheduling provisions are made to take advantage of this. 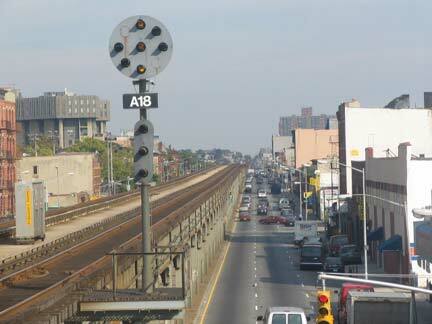 The #7 train, which arrived in 1917, meets all the LIRR lines here as well. 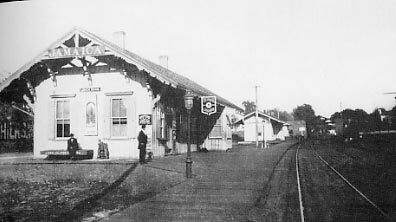 The Long Island inherited the Woodside stop, and its now-closed neighbor to the east, Winfield, from the Flushing and Northside Railroad after an 1876 takeover. 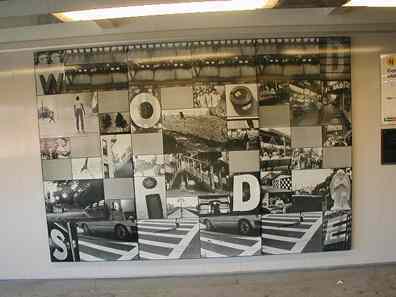 Since 1986, John Cavanagh’s two Commuting/Community collages have graced the station. When looking out at Forest Hills Gardens from the railroad platform, I’m reminded of the cult 1960s TV showThe Prisoner, in which Patrick McGoohan (who was born in Astoria) plays a secret agent who is spirited off to a mysterious location, known as “The Village,” where village masters attempt to extract information from him by whatever means necessary. 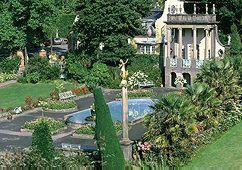 The show was filmed in the northern Welsh village of Portmeirion, built as one of the world’s first theme parks by Sir Clough Williams-Ellis in the 1920s. 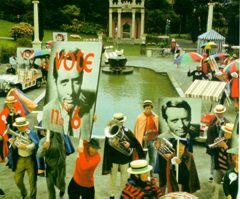 Images from Retroweb’s Prisoner page. 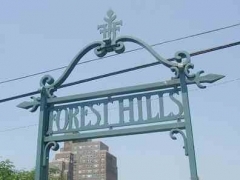 The Forest Hills station’s lighting and signage are marvelously detailed, from the “dashing Dan” on the lamp to the stylized “FH” on the wrought iron signposts. 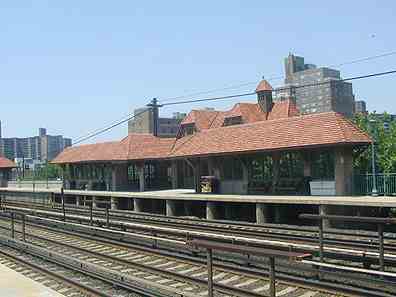 For rail architecture buffs, the Forest Hills station is a destination in itself. 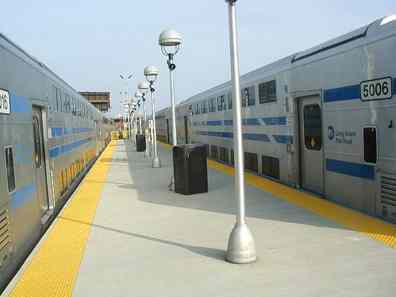 The design is English tudor accented with red brick, red tile windows, casement-style windows and benches and platform lighting unique to the station. 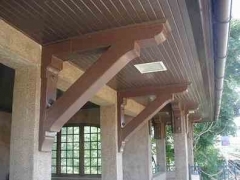 Some of these highlights were installed after a late-1990s renovation. 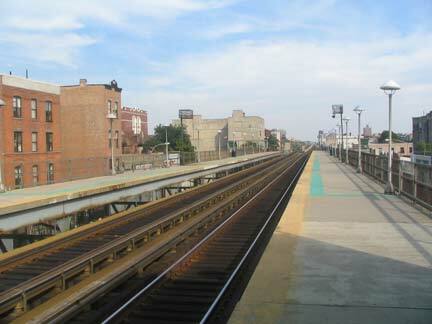 The station is not a major one and many trains deadhead past it. 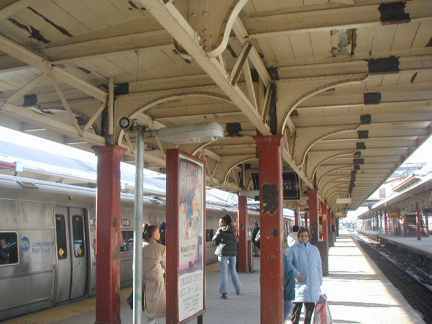 If the LIRR put this much effort into stations like Nostrand Avenue and East New York, well, that’d be a way to run a railroad. 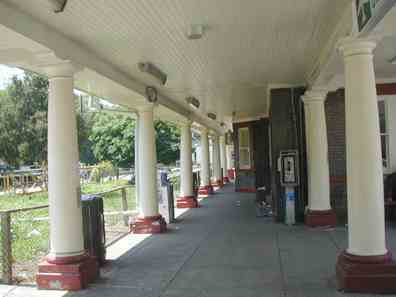 Kew Gardens’ columned, ridge-roofed station house was built in 1909. 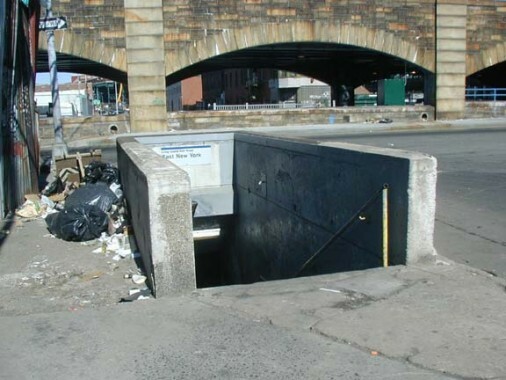 It was in the vicinity of the station that the infamous Kitty Genovese murder — in which 38 witnesses failed to step in — was committed in 1964. 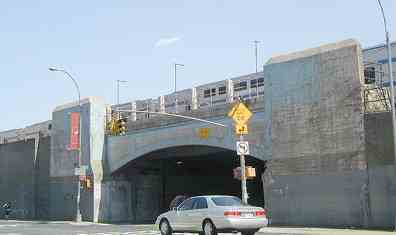 The span that takes Lefferts Blvd. 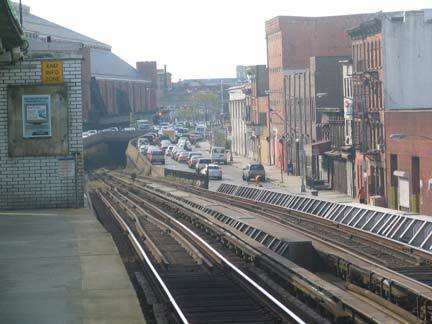 over the tracks is lined on both sides with commercial buildings. 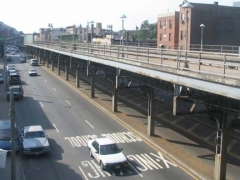 A complicated engineering solution encompasses three separate bridges on Lefferts: one for the roadway, and two on each side that support the buildings. 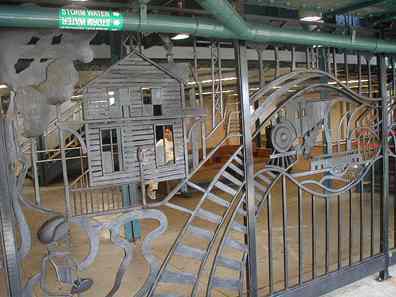 According to Kew Gardens: Urban Village in the Big City author and PBS-TV host Barry Lewis, the store’s bridges actually run through the buildings’ roofs, with the storefronts hung from the bridges like a curtain on a rod. 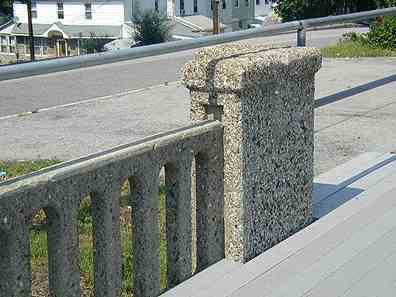 The engineering principle is similar to that of the circa-1565 Ponte Vecchio (Old Bridge) in Florence, Italy. 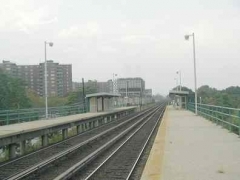 The Lefferts Blvd. 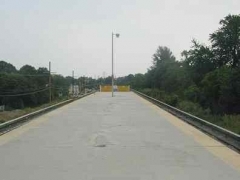 bridge had assumed its present condition by 1930. 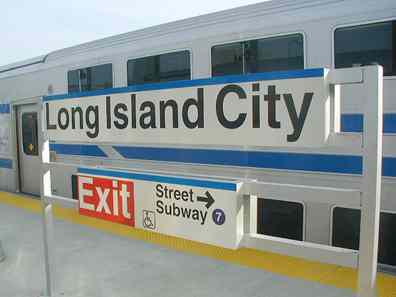 Jamaica is now the LIRR’s main transfer point (others are at Hicksville, Woodside, Ronkonkoma and Huntington) and it’s the LIRR’s nerve center, where the main offices are located. 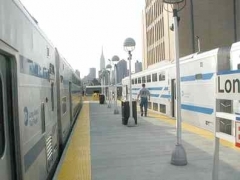 Begining in 2002 it underwent a massive renovation that saw the construction of a major new terminal for AirTrain service to John F. Kennedy Airport. 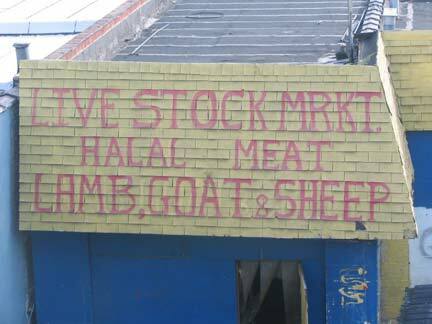 Since I photographed Jamaica in 2002, none of those new changes will be reflected here! 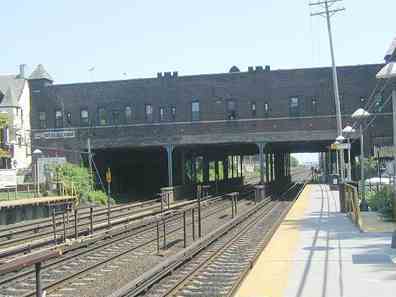 The LIRR inherited the original Jamaica station, seen below left, when it acquired the Southside Railroad of Long Island in 1876. 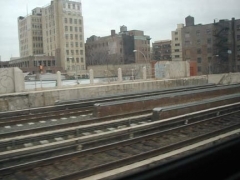 In the 1910s the LIRR correctly predicted a Queens and Long Island building boom due to the new direct connection to Penn Station, established in 1910, and built a massive train yard and new station at Jamaica, which opened in March 1913. 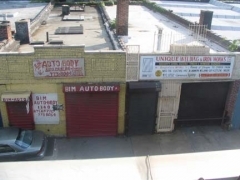 Today the evolution continues as a direct connection to Kennedy Airport has been established from this nexus. 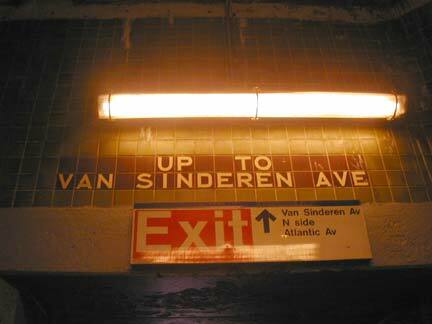 Before renovations were underway in 2002, I snapped some of the old wood-canopied crossovers that preserved some ancient handpainted signage. The crossovers are now metallic and the new signs are MTA standard black and white. Additionally, new escalators and elevators have been installed. 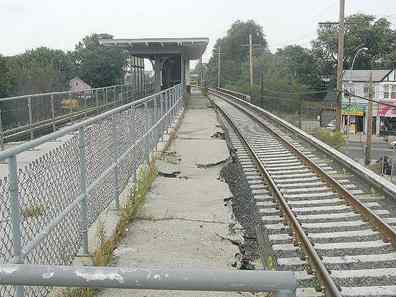 Jamaica platforms are losing the telltale LIRR crosshatching. You used to be able to tell an LIRR (or former LIRR platforms, as in the case of the Far Rockaway stations on the IND A line) by the distinctive style. 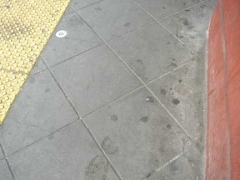 Blink and you’ll miss it. Just after the train has picked up speed when leaving Jamaica eastbound, look north and you will see the remnants of the old Union Hall Street station. 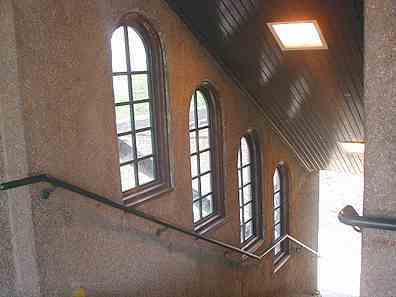 The station above the entrance to York College has been “improved” as if there were still service here. 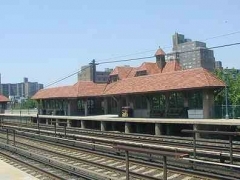 Union Hall Station was built in 1913 as a consequence of the Jamaica improvement, in which the new Jamaica station was built a mile west of the Jamaica town center. It was elevated about 1930 and closed in 1970. Elevated subway service to Jamaica would follow this station into oblivion a few years later, with service in Jamaica’s downtown not reinsituted until the Archer Avenue line (E, J) opened in 1989. The IND along Hillside Avenue filled the bill in the intervening years. Hollis, one of the most underutilized stations in the system, was formerly known as East Jamaica and boasted a picturesque station house with two spired cupolas. 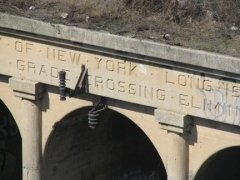 Vandals burned it down in 1967 and the Rail Road has not deigned to replace it. 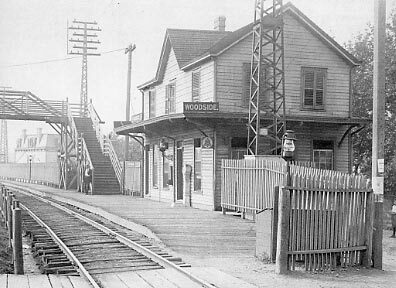 As threadbare as the Hollis station is, it has a “brother” station in Broadway on the Port Washington branch, seen at the bottom of this page. The concrete platform railings are exact matches; perhaps the same contractor was used for each station. 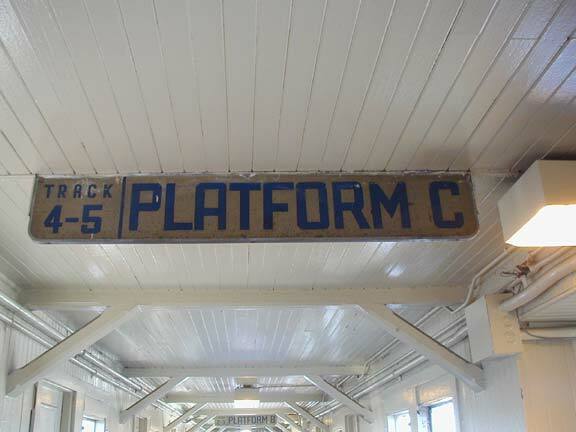 There’s still a wood-planked platform, and, in a nice touch, a roadway curves along the westbound platform which may have originally been a carriageway. You can call it “Brushville”, you can call it “Little Plains”, you can call it “Queens” or you can call it “Queens Village”; Queens Village has been a town of many names. 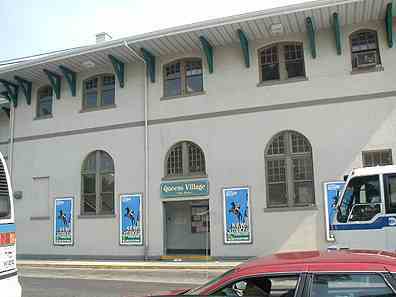 The area now known as Queens Village, centered at Springfield Blvd. 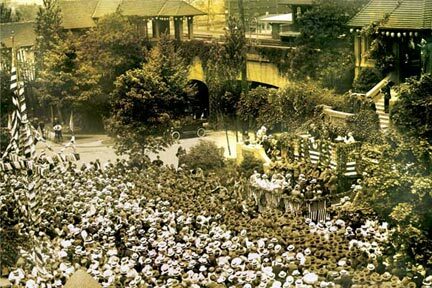 and Jamaica Avenue, was known originally as Little Plains, then Brushville, after a local landowner, until about 1920. 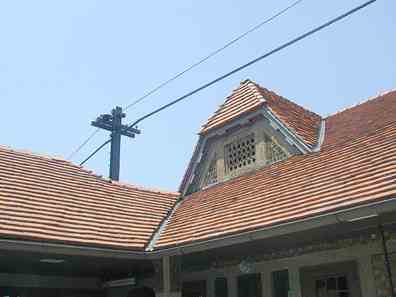 The present elevated station was constructed in 1924. Interestingly you can still see the remnants of a layup track here. Right next door to the Roach Motel? Nope, this locust is a tree. 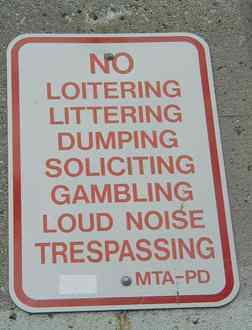 The no-fun bunch, here in Springfield Gardens. 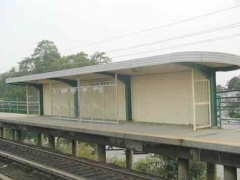 The station at Locust Manor is a relatively new one: this section was only grade-eliminated in 1959 and this station dates to that year, and reflects a 1950s brand of architectural blandness. 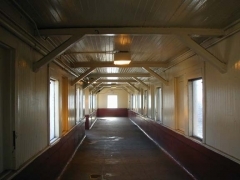 The station, originally known for the long-vanished Higbie Avenue, was first opened in 1908 and served a vanished racetrack. 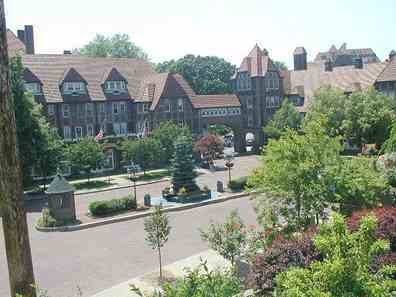 Rochdale Village is in the distance. I was all set to blast away at the MTA for letting this usually-bypassed southern Queens LIRR station literally crumble away. 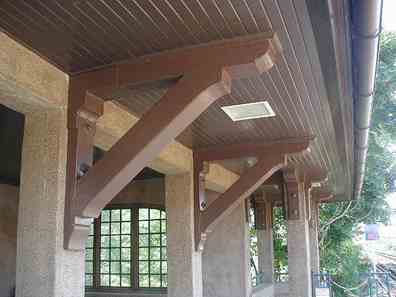 But darned if they didn’t overhaul it in 2004, making the following pictures fit only for “before” scenes. 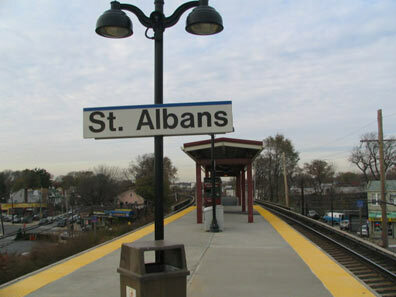 Before and after at St. Albans. 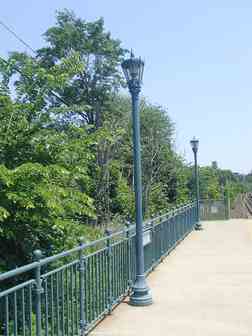 Photographed mainly June 2002 and fall 2004. 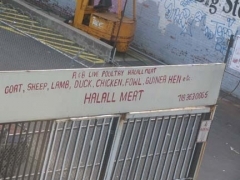 You’re correct. 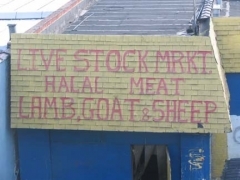 Will try to get there soon. There is a station maintenance program planned for the Laurelton Station starting May 1st of this year. You may want to visit the station before or during the development to get pictures ‘before and after’ the work is completed. 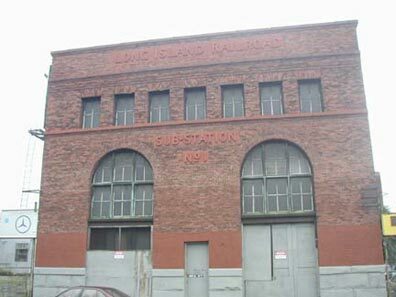 Great pictures but I think there is an error The ruins of LIRR Substation 2 can be found on Snediker Avenue just south of Atlantic This station can be found today in front of a company called Royal a recycling company 172 ST Douglas avenue in Jamaica queens NY. 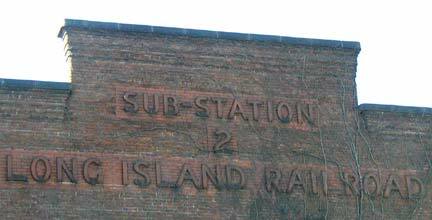 This station is abandoned no seems to pay attention to this old station. Do you still need pictures of Laurelton Station? 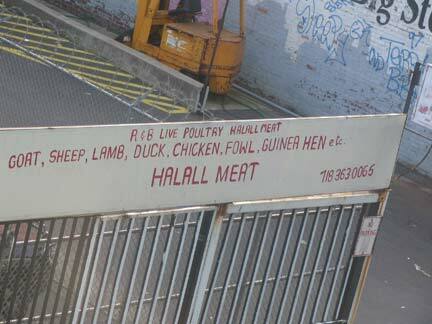 Because I have some that I posted on Wikipedia I might be willing to offer. I sent those a while back. Did you ever see them? Hello. 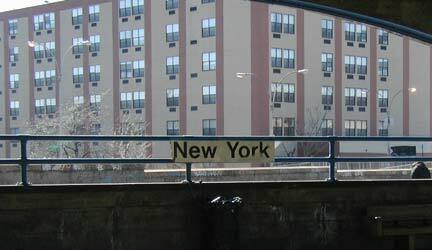 Great job but you missed some Queens stops on the Port Washington line: Willets/Mets, Main St., Murray Hill, Auberndale and Bayside. Port stations have their own separate FNY page. ..and Broadway! 🙂 the LIRR is really a joy for a railfan. Any pictures or history of the ‘Woodhaven’ station ? 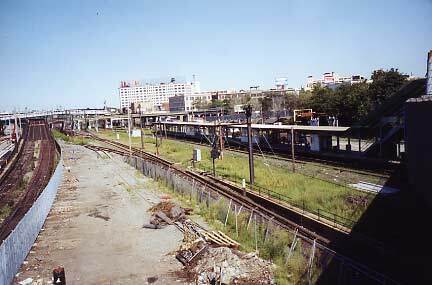 Are you talking about the Woodhaven Junction station on the old Rockaway Beach Branch or the Woodhaven station on the Atlantic Branch? The station on the Atlantic Branch still exists, although abandoned. It looks like a NYC Subway station. The one on the Rockaway Beach Branch most likely has been consumed by history and over growth. 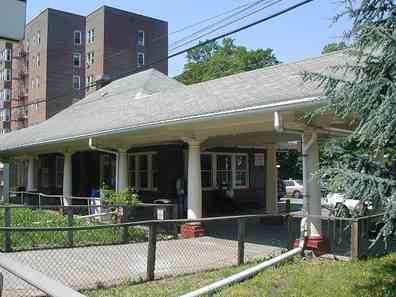 Do you know if the Montauk Branch train still runs across Forest Park in Queens? My son and I went hiking in Forest Park last weekend and noticed that some of the fencing was opened due to fallen trees and people were walking on the tracks. 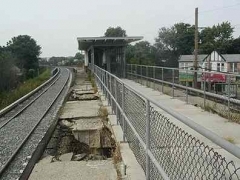 I’ve read that the train ran once a day weekdays but it doesn’t seem like trains have run over the track in a while.